Trilogy at La Quinta is a golf resort community of 1,238 homes, constructed by Shea Homes between 2004 and 2012. 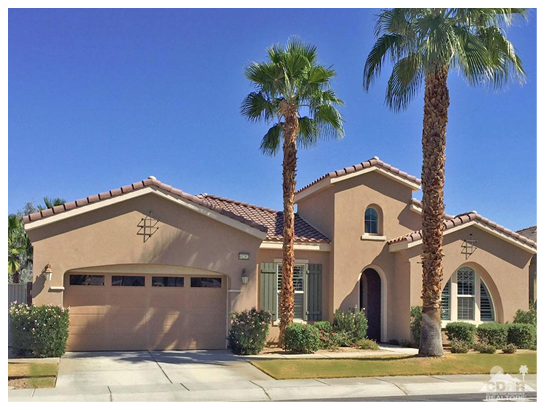 TLQ offers desert homes of traditional styling – Tuscan, Mediterranean, Spanish. There are three original model home collections – Coral, Mariposa, Santa Rosa. 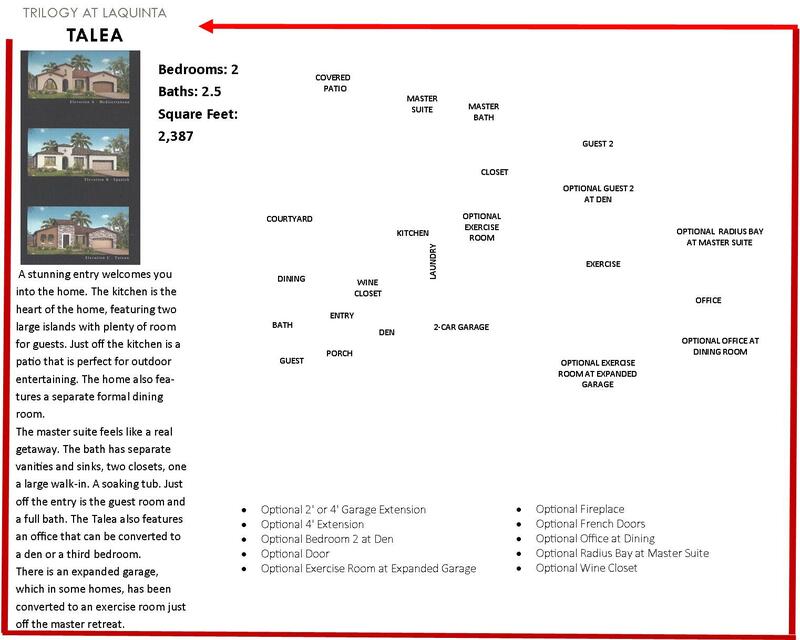 The Coral and Mariposa Collections each have five different floorplans, the Santa Rosa offers three. 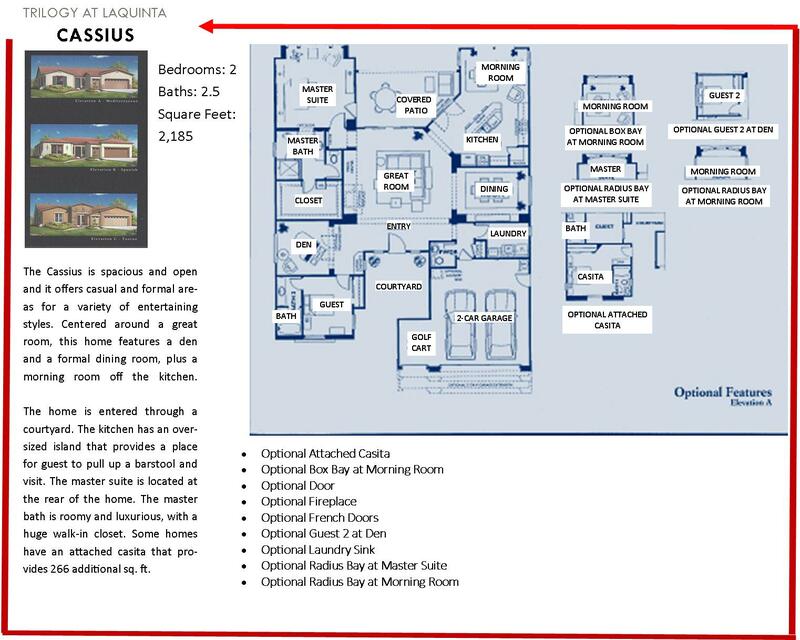 Most all base floorplans allowed the original buyers to choose options that may have altered the number, size and purpose the rooms. Important Note. 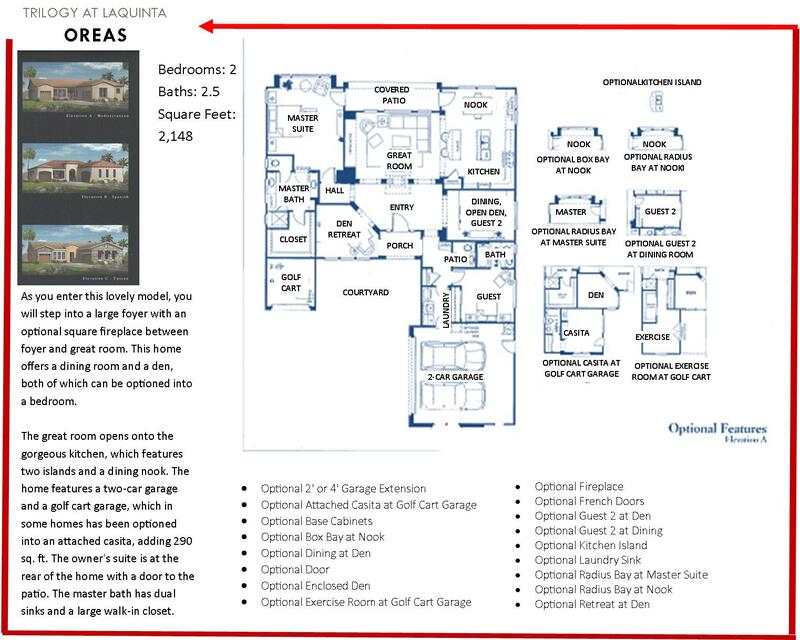 Trilogy home resales – floorplans, square footage, interior design, may vary from these originals. 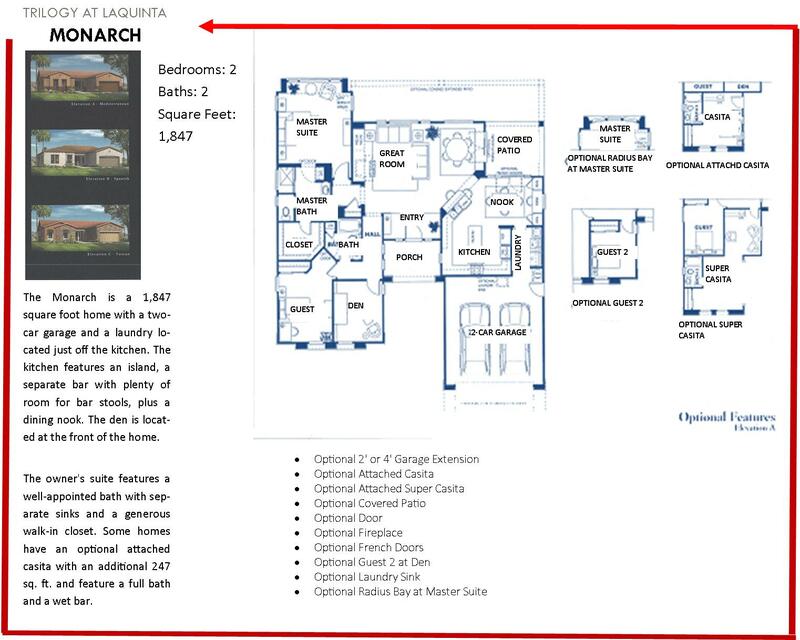 Homes range from a base of 1,847 SF to 2,387 SF. Resales may have been customized by the original buyers with options that have added or extended rooms for additional square footage. 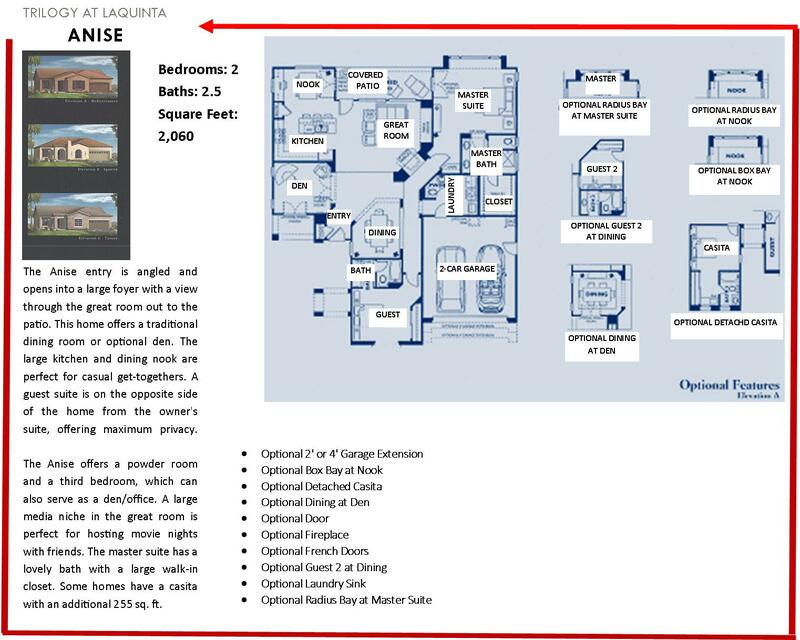 Below are the five floorplans including options available at the time of their original purchase.